After walking the catwalks, the western trend is making its way into the urban wardrobe with a chic and elegant jacket. 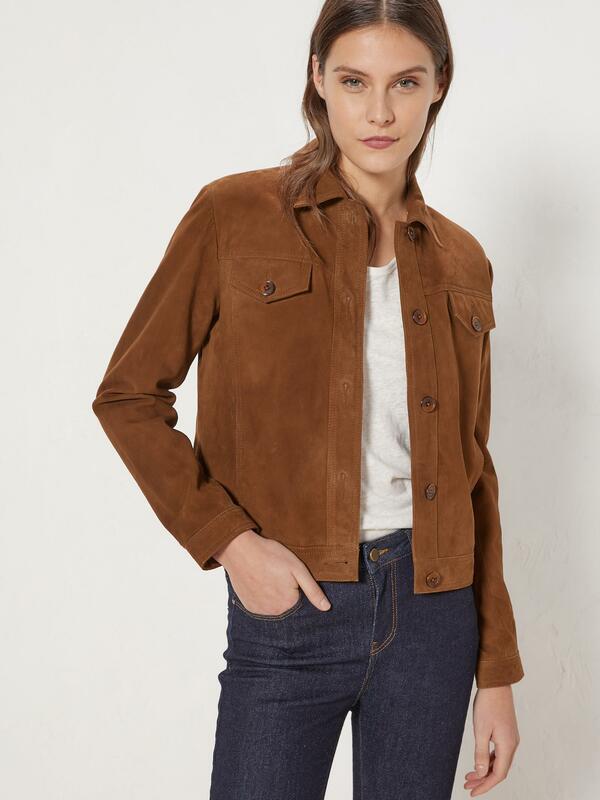 In goatskin suede, this is THE perfect piece! Multi-purpose, it can be worn outdoors and in- as it's supple and comfortable. Fitted at the waist, small point collar. Fastens with tone-on-tone buttons. 2 breast pockets with button flap. 2 pockets from the front tailoring seams. Play of ton-on-tone seams and topstitching front and back. Length, 55.5cm approx. Body lining, 100% cotton. Sleeve lining, 100% polyester.